Sen. Rand Paul (R-Ky.) has been caught using purloined passages in several of his speeches. Now the aspiring presidential candidate stands accused of filing a lawsuit stolen from its author. Since December, the libertarian lawmaker, a tea party favorite, had been working with former Reagan administration lawyer Bruce Fein to draft a class-action suit seeking to have the National Security Agency’s surveillance of telephone data declared unconstitutional. . . But when Paul filed his suit at the U.S. District Court in Washington on Wednesday morning, Fein’s name had been replaced with that of Ken Cuccinelli. . .
Fein, who has not been paid in full for his legal work by Paul’s political action committee, was furious that he had been omitted from the filing he wrote. Did Rand Paul lift legal work from a celebrated conservative lawyer without fully paying him? The attorney in question says he didn’t. . .
A spokesperson for RANDPAC forwarded an email from Fein denying Mattie Fein’s allegations. “Mattie Lolavar was not speaking for me,” Fein said in the email. “Her quotes were her own and did not represent my views. I was working on a legal team, and have been paid for my work.” Bruce Fein confirmed to msnbc that the email was from him. 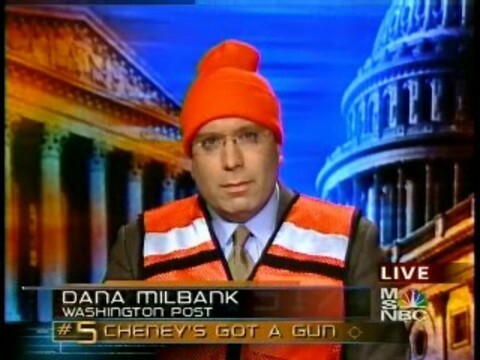 Seems convincingly debunked to me, but Milbank isn’t ready to give up. In a column entitled “E-mails back claim that Sen. Rand Paul ‘stole’ NSA lawsuit”, he dumped a bunch of internal emails (presumably leaked by the ex-wife) that indicate he was disgruntled about being left out of some key decisions. But they also make clear that Fein was indeed hired and paid for his work. My outstanding invoice for work indispensable to the lawsuit should be paid no later than Friday, February 14, an expectation which is completely justified in light of all the circumstances. Truly shoddy work, and typical of Milbank. I’ll bet the Post is glad they have him off the news page and onto opinion. This entry was posted on Friday, February 14th, 2014 at 11:29 am and is filed under Media Failure. You can follow any responses to this entry through the RSS 2.0 feed. You can leave a response, or trackback from your own site.